BBNW Analysis Coach Storey is the longest tenured head coach in college baseball in the Northwest, beginning his 28th year in Ellensburg. The former Wildcat player and assistant coach has 610 wins leading the Wildcats and is the most winningest coach in Wildcat baseball history. 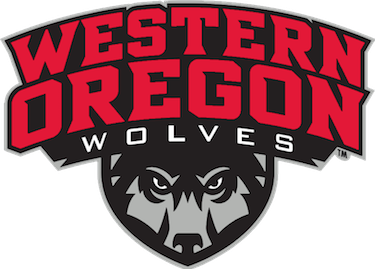 CWU will be looking to return to the post season for the third straight year. Hampson, Lesmeister, and Hassell provide a solid core of offense which was 2nd in most key league offensive categories last year. Stevenson is the top starting pitcher to return after making 12 starts and being 6th in the league in strikeouts. The bullpen had solid production last year from Hoefer and Forrester. The Wildcats travel to northern California to take on Cal State Stanislaus February 1st and to Academy of Art on February 8th. Saint Martin’s comes to CWU Field for the GNAC opener on March 2nd. Go Wildcats! BBNW Analysis Coach Vance begins his 21st year as the head of Concordia baseball and led them to a berth in the GNAC Championship Tournament in their first season of NCAA Division 2 eligibility last year. He shared the 2018 GNAC Coach of the Year honors with MSUB’s Aaron Sutton. Four senior pitchers (Mitchum, Jones, Roes, Huddleston) made 46 starts a year ago with solid success, so pitching should be a strength of the 2019 Cavaliers. Diaz proved himself with 2 wins and 4 saves out of the bullpen. The offense will need to be rebuilt; Concordia will look to Huddleston, Farhat, and Hatch who had the most at-bats of those returning. Enbody had good production in a part-time role last year. The Cavaliers look to have a decent group of JC transfers and freshmen that will help bolster this season’s roster. Concordia opens the 2019 schedule at LC State on February 1st before a California trip to play at San Francisco State and UC San Diego. 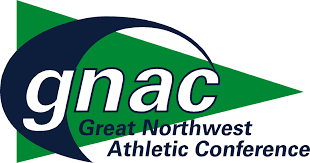 Their GNAC opener is at Porter Park vs. Northwest Nazarene on March 1st. Concordia’s Porter Park will be the host for this year’s GNAC Championship Tournament May 8-10. Go Cavaliers! core of the offensive contributors are returning, led by Garcia who has player of the year potential. On the pitching side, Frederickson (13), Winslow (10), and senior Jared Wong (12) made the most starts of pitchers that are returning in the conference. MSUB also led the conference in pitching strikeouts. The roster includes 15 home-grown Montana players.The Yellowjackets open 2019 competition at Colorado Mesa February 9th before going to Western Oregon on March 2nd for league play. Dehler Park welcomes home MSUB on March 15th vs. Central Washington. Go Yellowjackets! 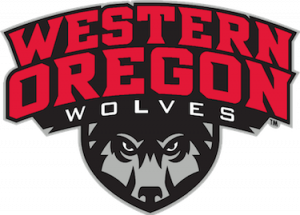 BBNW Analysis Joe Schaefer takes over the head coaching reins of NNU after 10 years and 341 wins at Point Loma Nazarene University in San Diego, CA. The former Point Loma player and assistant coach led the Sea Lions to the D2 national tournament in 2016 and 2018 and the NAIA National Tournament in 2009 and 2010. The experienced position players and the new pitchers will be a key to the Nighthawks return to the GNAC Tournament. Parker Price, a Gonzaga transfer, is as good an all-around player as any in the league. Casper’s potential is strong, demonstrated last year by being 10th in ERA, 2nd in strikeouts, and 1st in batting average against. Hilyard is a unique two-way contributor and should carry a big load. The defense was solid a year ago (2nd in fielding), and NNU led the conference in steals. The Nighthawks travel to St. George, UT for a couple 2-game sets vs. Dixie State and Colorado Mesa to kick the season off. The conference games begin on the road at Concordia March 1st. Montana State Billings comes to Vail Field for Nighthawk fans’ first look on March 8th. Go Nighthawks! And welcome to the Northwest, Coach Schaefer! BBNW Analysis Coach Gau, a NW product, gets the interim tag removed from last season to lead the Saints in 2019. He took over during a difficult 2018 season with the passing of long-time head coach Ken Garland. Feist should ignite the offense after leading the Saints in most offensive categories last year. Oshiro had a very solid year with the bat as a freshman. Tanner Inouye, Clark Streby, Ryan Dorney, and Mickey Walker gained a lot of experience on the mound combining for 35 starts in 2018.
their league start at Central Washington on March 2nd. Saints Field will host Concordia on March 9th to start the home schedule. Go Saints! BBNW Analysis Coach Walker took a leave of absence in 2018 and Coach McInerney and Coach Kizer stepped in to lead the Wolves to their 4th conference tournament championship in 6 years, and their 2nd in a row. Walker will be back for his 7th season and with 142 conference wins is tied for 3rd in all time coaching wins in the GNAC. Deep pitching staffs and consistent defense have become keys to their success; the Wolves were the conference leader in most categories. Roth (1st in ERA), Jacob Fricke (2nd in ERA), and Gabe Benavides return having made 28 starts between them last year. Kolbe Bales was dominate out of the bullpen with a 1.12 ERA and was named GNAC Freshman of the Year. The returning offense is led byMcDonald, McCord, and Halle who combined for 25 home runs a year ago. The Wolves travel to LC State February 8th to begin the season, before opening the league schedule at home vs. Montana State-Billings on March 2nd. Go Wolves!